Here at Historical Tapestry we are big fans of Georgette Heyer, so much so that we held our first month long season in her honour! We are thrilled to be participating in the celebrations by hosting a giveaway of a Georgette Heyer prize pack of 3 novels. Each pack will include one of Heyer's mysteries, a romance and a historical fiction novel. 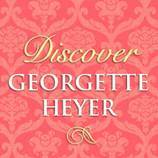 In order to enter, we want to know how did you discover Georgette Heyer? Did you read your mum's copies, or did a friend recommend her? What's your favourite Heyer novel? Or if you haven't read her yet, why would you like to try reading her novels. To get things started, I thought I would share my Heyer story. I was originally introduced to Heyer when I went to my local romance bookstore and was browsing the shelves. The assistant was talking to me about what I like to read (historical romance being one of those things) and then she asked me if I had read Heyer. When I said no, she was rather insistent that I really, really needed to do so! I therefore bought a copy of Venetia. It is no reflection on her sales skills that I haven't actually read Venetia yet. Then Sourcebooks started to rerelease her books and so I started reading them. I really liked An Infamous Army, and books like Cotillion and since then I have gone on to read a mystery or two plus more and even went to a launch of Jennifer Kloester's biography of Heyer. There are still plenty of Heyer books for me to read, but if I had to pick an absolute favourite of what I have read so far, it would be Devil's Cub. - to participate, just leave a comment telling us how you discovered Georgette Heyer. Don't forget to include your email address in your comment. On an historical fiction forum someone listed The Grand Sophy as one of their five all-time favorite books, so I located a copy and since then I've read several more Heyer novels. Grand Sophy and Devil's Cub are two of my favorites. I was first introduced to Georgette Heyer through reading blogs. I had seen her novels in Borders. I had never picked one up, shame on me. After reading about her on a blog, I read The Black Moth. I was hooked! I must say that The Black Moth remains my favorite. Sorry, forgot to leave my info. "My local romance bookstore"--sadly, in the days of Walmart and Amazon, the phrase "my local bookstore" is on its way to passing out of the language. I found one of her books at my local used book store and since I had noticed her on several friend's bookshelves on goodreads I thought I would give it a try. I'm now a fan. 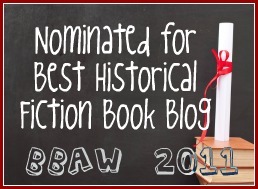 I discovered Heyer through the recommendations of Lauren Willig and followers of her blog. At the time, Lauren was teaching a romance novel course at Yale and included her syllabus, which included Heyer. Fellow posters couldn't stop raving about her so I decided to pick one of her romance novels up - Arabella. I couldn't stop reading (or collecting)! I discovered Georgette Heyer by Googling 'authors like Jane Austen'. I then went to the local library and borrowed 'The Grand Sophy', the only book of hers that they had. It was a lonely point in my life when I discovered her, and she cheered me right up and made me feel hopeful. I've never read anything by Georgett Heyer, but I've heard so many great things on her books I'd love to finally try out one of hers. I have not read her books yet, but I do own several, as they have come highly recommended by some of my fellow historical fiction buffs. I own Frederica, the Quiet Gentleman, and Cotillion (among others) and those are the titles I'm looking forward to reading the most, I think. Love your blog....OLD FOLLOWER, but a NEW E-MAIL SUBSCRIBER!! I have not yet had the pleasure of reading any Heyer books, which is just sad as she's sort of the Queen of Historical Fiction. HF is probably my favorite genre! I discovered her books from the library. I have never read one but I keep hearing they are awesome.Thanks for the chance to win.